I never saw my Mom cry like that. I mean, I saw her tear up at a sad movie or even all out sob occasionally, but this was different. She was still in her pajamas, it was late in the morning and she was lying in bed. Something was really wrong and it scared me. I don’t remember exactly what time of year it was, but I recall there were bits of snow. So it must have been spring. That’s how winter left us in Manitoba – in bits and pieces. I do know that I was 9 years old. And even though it was probably a weekday, I was allowed to miss school and drive out to my grandparent’s farm with Mom; just the two of us, listening to the radio. I cherished every moment that I had her all to myself. But when the song, “Only the Good Die Young” started playing on the radio, that little reprieve of joy was squelched. She turned off the radio and started to cry again. 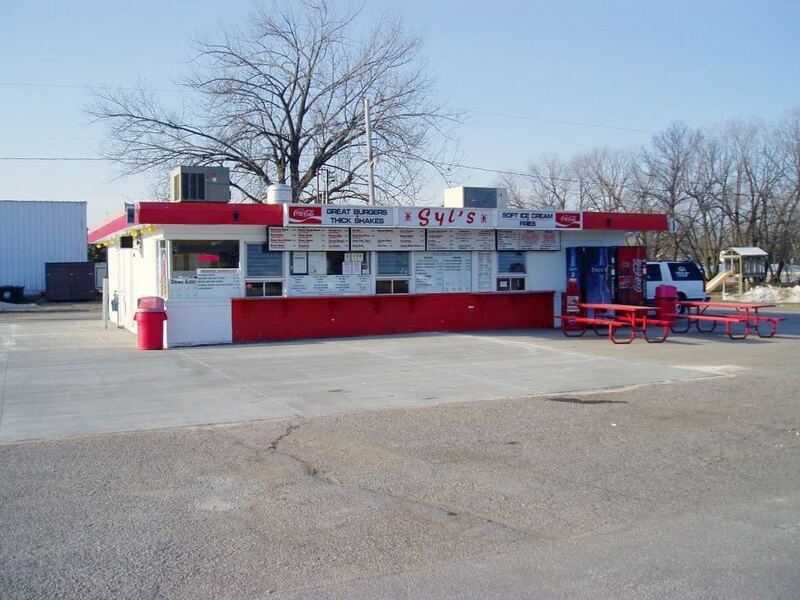 That trip to the country for the funeral was one of the few times that Mom stopped to get me a pizza pop from Syl’s Drive-in in Carmen. Driving out to the farm was pretty much the only time I ever got pizza pops when I was a kid; it really was a rare treat. And I practically lived for them! But it was at that moment, that pizza pops truly became comfort food for me. And all these years later, pizza pops still give me comfort. But unfortunately, they are really fattening and that’s what partially motivated me to create this healthy version- it’s 4 Weight Watchers freestyle smart points, where as a regular pizza pop is 8. My kids loved these because they practically live for pizza pops too. 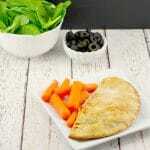 That was the other motivator – to make a healthy version of the pizza pop for their school lunches. But the true testament was when my daughter’s friend, one of the pickiest eaters I know, was over when I was testing the recipe and she loved it! When I was a teenager and had a little more food freedom, my own money and pizza pops were commercially available, I practically lived on them! Little did I know that Pizza Pops were created in Winnipeg, Manitoba!, which also happens to be my home town. Although Pillsbury bought out the creators in the early ’80’s and they are now made by General Mills, pizza pops are truly a Canadian thing. Not only does that make me really proud, it makes them even more of a comfort food. 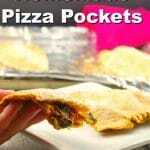 And that’s why, when I was googling pizza pops, all I could find, aside from Pillsbury pizza pops, was pizza pockets. Because that’s what they are called in the United States. That, or stuffed pizza pockets. I felt so sad for my Mom that day. I had heard her say how young he was, even though he seemed really old to me! I mean, he had a car and a girlfriend. But he was definitely good. The guy bought me fancy champagne bubble bath for my birthday… in an actual champagne shaped bottle! No one else ever did anything that kind of special for me. He was my Uncle Lorne; my Mom’s little brother. And now he was gone. We still don’t really know what happened, but apparently his car hit a fence post on a deserted country road late at night. He was 19 years old and I hardly knew him. I wasn’t even allowed to go to the funeral so I didn’t even get to hear about what he was like. I could only imagine. But for years after his death, he’d visit me in my dreams. I don’t know why he chose me, but for some reason, he wanted me to know that he was okay. I made sure to tell my Mom. And now, whenever I eat a pizza pop, I think of Syl’s Drive-Inn and my Uncle Lorne…. When people leave this world too early, I always imagine what they would have been like. And one thing I always imagined was that Uncle Lorne loved pizza pops from Syl’s Drive -Inn as much as I did. 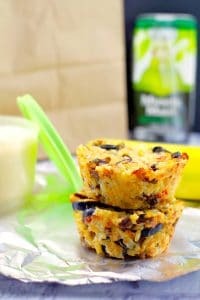 If you are looking for additional healthy lunch ideas, check this out! 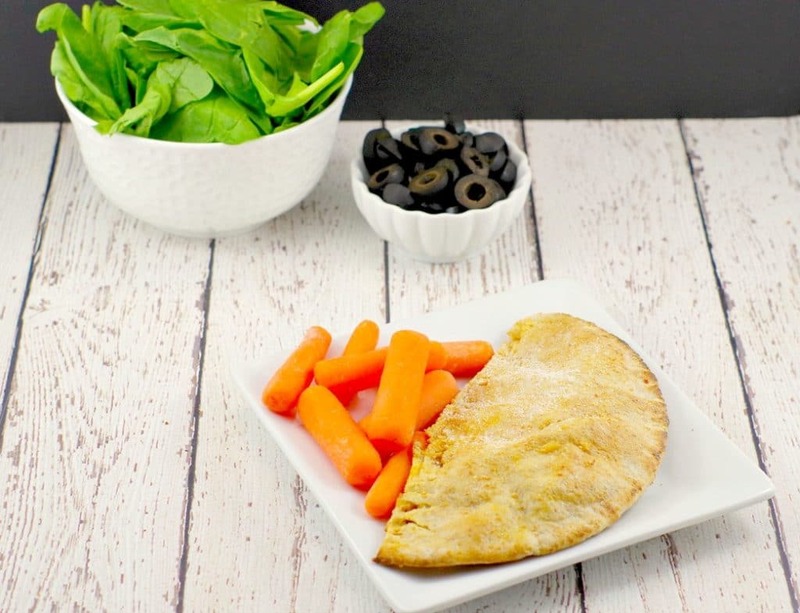 A healthy homemade pizza pop (pizza pocket) stuffed with Mediterranean flavors like black olive, feta cheese and spinach. It's only 4 Weight Watchers Freestyle Smart Points and a healthy lunch (hot or cold) for the kids' lunch box! Preheat oven to 400 degrees F and spray an aluminum lined cookie sheet with non-stick cooking spray. Mix spinach, pepperoni, pizza sauce, black olives and cheese together in a bowl. Make egg wash: Add water to egg and beat together for a few seconds. Cut pitas in half, then open (use a knife to gently slice open fi necessary) each pita and stuff it with about 3 tbsps of the filling * Do not overfill or it will be too difficult to seal and will rip. Seal the pita with the egg wash by running the egg wash inside the rim of the pita on each side with a pastry brush. Be careful not to use too much and 'soak it' or it will get soggy and fall apart. Then brush egg wash over the pita until it's covered, but not soaked. Take a fork and press down along the cut of the pita (on the straight side), as you would a pie crust, sealing it in. Sprinkle each pita with parmesan cheese, distributing equally between the pitas. Bake in preheated oven for 15 minutes. Serve hot as a meal or snack with raw veggies (like carrots and celery) and berries or pack for a lunch (they can be reheated or eaten cold). You can also freeze them. *If you use light feta cheese as I do, this will further reduce the calories, fat and weight watchers points, but my nutrition calculator will not account for it. 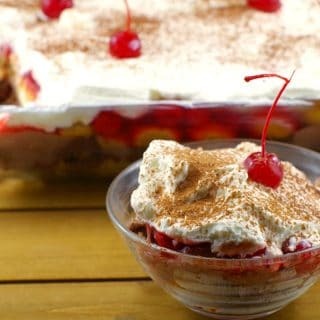 I love how you’ve lightened up this classic recipe and made something that you feel good about feeding your kids! A lovely tribute to your uncle, too. Thank you, Elaine. 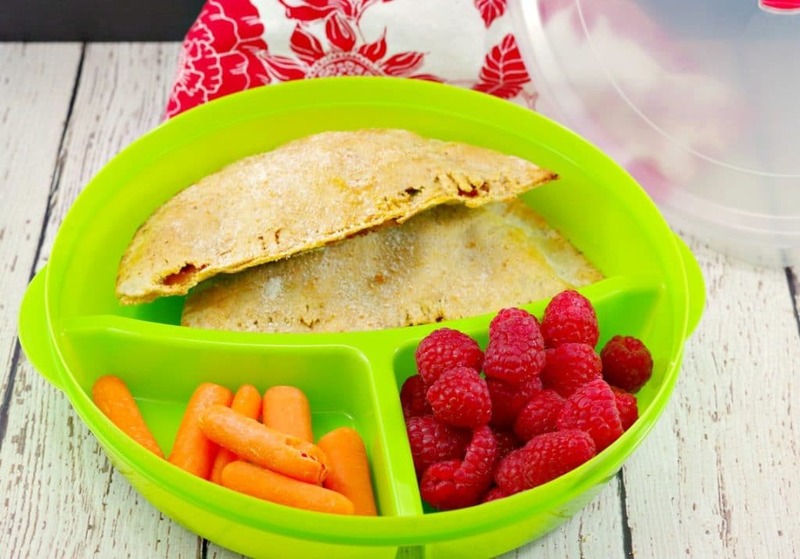 Yes, my kids constantly bug me for pizza pops so it’s nice to be able to make them an alternative they equally love (and stick it in a lunch bag)! That was a great story, Terri. I am sure that your Uncle would have loved these pizza pockets. I am looking forward to trying them. Thanks so much for sharing. Thank you, Denise :). I hope you enjoy them! You’ve told such a lovely story, Terri. I can really see the importance of pizza pockets to you. And I love how you’ve transformed it into something healthier so that you can continue to bite into the memories. 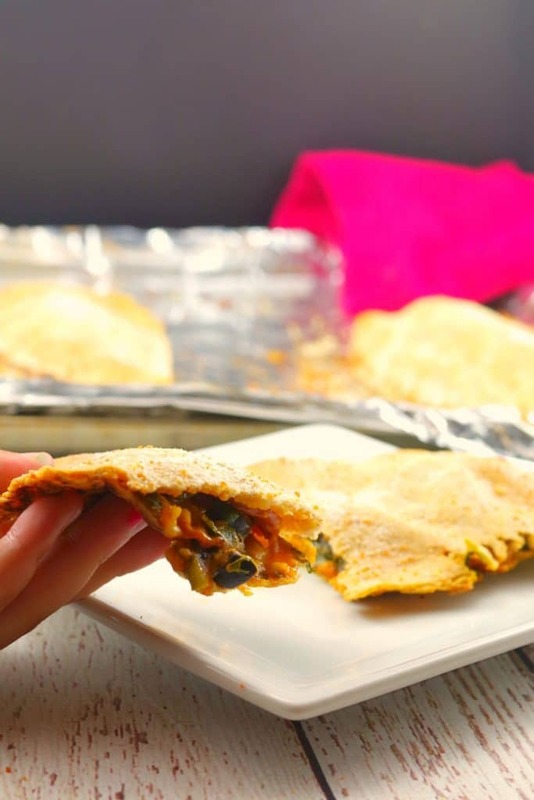 Really liking your take on using pitas as the crust for these pizza pockets! 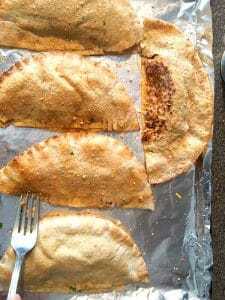 I have always made ‘hand pie’ style pizza pockets where you make the dough your self and then wrap it around the filling kind of like a calzone..its super messy though, and really takes a lot of practice to get good at|! This is so much easier!